A recent and ever-growing trend among home owners over the past year is the introduction of a butler’s pantry or scullery! A scullery is a natural extension to the kitchen, allowing for extra storage space, preparation areas and most importantly; to hide away mess and keep your kitchen clean and fresh! When designing a scullery, bench space is an absolute must have! 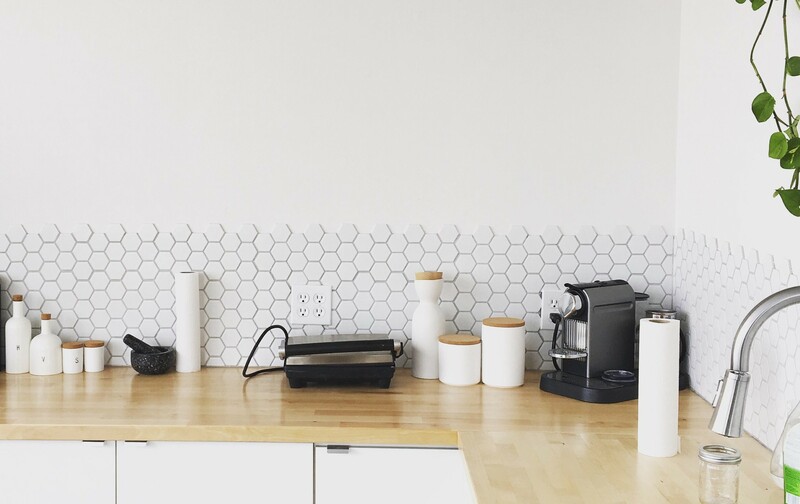 This not only assists when preparing food and storing every day appliances; but can also present as a landing space for groceries before you begin unpacking. Bench tops as we know can be expensive, for the scullery; we recommend reducing the depth of the bench top which can assist in cutting costs in upwards of thousands of dollars! A lot of clients also choose a Laminex that matches their stone in the kitchen, to put in the scullery, so that it looks great still, but not so expensive. If you’re anything like us and have so many appliances, you don’t know what to do with; then a scullery might be the right solution for you. Storing these items away in the cupboards can use up valuable space, that could be used for crockery, pots and pans, and all your small utensils. Instead of putting these everyday items away after each use, why not store them on the on the bench top in the scullery so they are always ready for action. 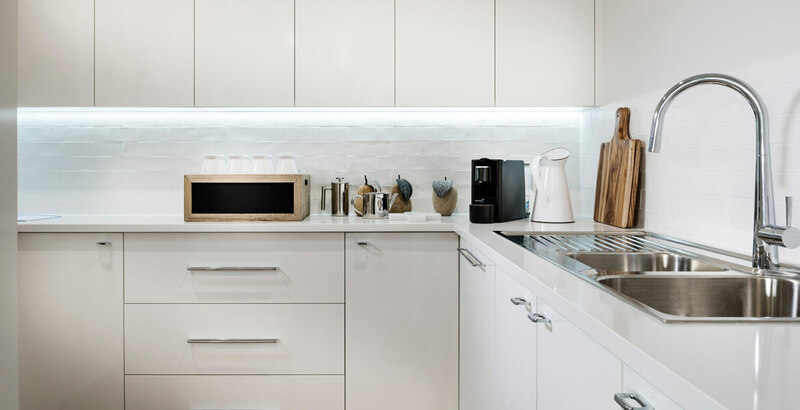 Our biggest tip here is to calculate the total number of appliances you think you could have running, and add a couple more! You can never have too many power points in a kitchen. Your kitchen already has a sink, so why not add another to the scullery? 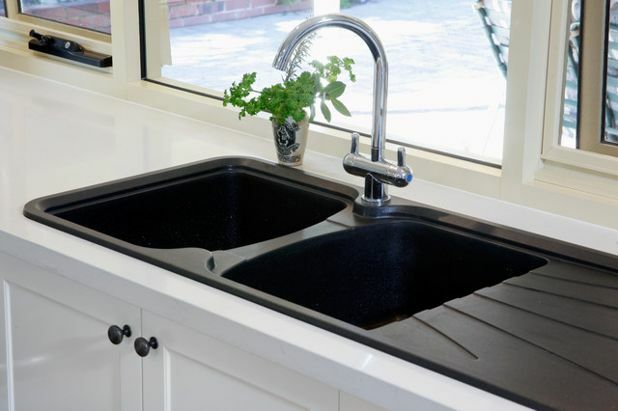 Since all your basic cooking needs can be stored in the scullery, it makes sense to add a sink that can be used to clean up dishes and keep the surfaces clean. We recommend adding a deep, wide style of sink in your scullery and leaving the smaller more stylistic sink to the kitchen. Larger sinks are far more practical when cleaning large pans, oven trays and other messy appliances, while keeping the mess out of the kitchen. The key to the perfect scullery is ensuring your work space makes life easier for you at all times. Installing open shelves means you can quickly walk in, take a look around and grab what you need without difficulty. We suggest running shelves all the way to the top of the ceiling to make the most of the space you have! Whilst not always easy to access, these shelves can be used for storing those items you rarely reach for, yet want on hand if needed. Many of our designs can easily be customised to include a scullery, if they don't have one in the plan already. Check out our floor plans to see which one suits you.